If you’re anything like me, there’s a good chance you’ve got two or three pair of headphones laying around that sound comes out of only one side. Well if you’ve got 13 and a half hours and access to a Dimension 1200ES, you could print replacement headphones yourself. There are a few cheap electronic pieces, but this design from John Mabry out of Teague Labs requires no soldering; it all snaps together. 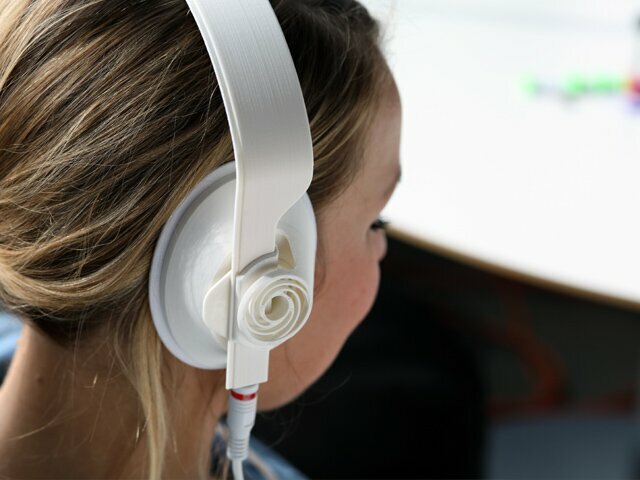 Mabry aimed to create headphones that could be assembled without tools, and there he succeeded so he put the 13:30 Headphones (named for how long they take to print) CAD files on Thingiverse. He’s not quite satisfied though as the way it’s currently printed requires support dissolving solution that many hobbyists don’t have access to. So now he’s working to make the design compatible with MakerBots. That’s appropriate considering how appealing the MakerBot Mixtape is; it’s basically an mp3 player shaped like a cassette tape. Adorable. Paired with the 13:30’s, these would make a great mostly 3D printed combo gift. If you really want to go retro with your tunes though, you can print your own unique Fisher-Price record player discs. The more everyday objects that I can print myself, the better. 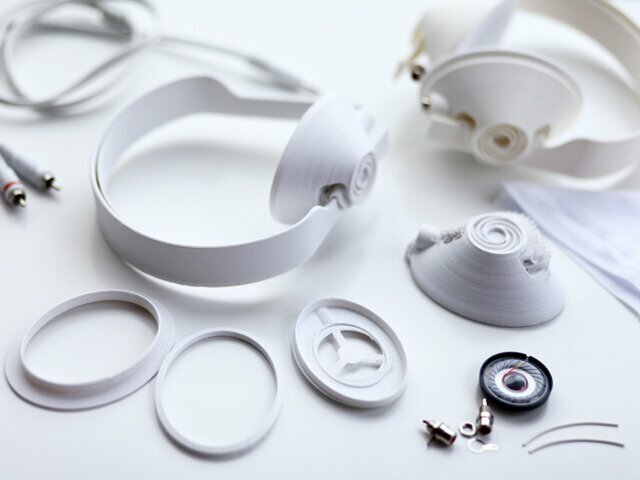 More and more consumer goods will be produced in the home as personal 3D printing continues its disruption of the manufacturing industry. Eventually my glasses and belt will probably come right out of my printer.